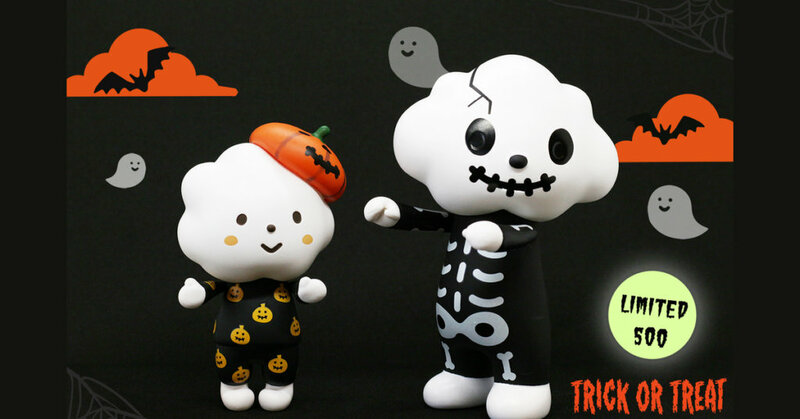 Cosplaying a thrilling skull and cutie pumpkin pie, Mr. White Cloud & Miss Rainbow win the Best Costume Award in the Halloween party. BOO~ Don’t you be frightened by the darkness! Their costumes GLOW in DARK to brighten up your gloomy night. Happy Halloween! 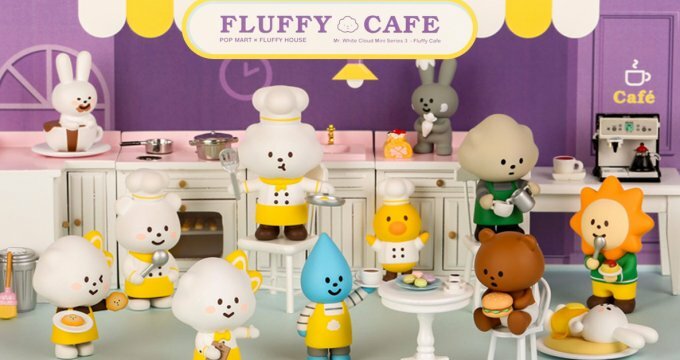 While we have your attention, did you guys spot the new mini-series from Fluffy House? http://fluffyhouse.com/shop.php for more Fluffy House. 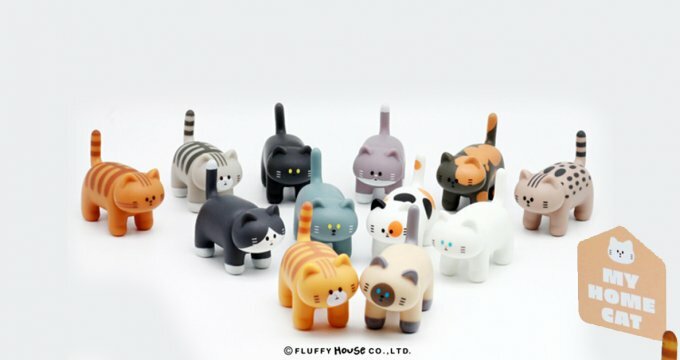 Oh if you love cats check out Fluffy House Cats!!!!!!! Free goodies for all you mobile users, yes FREE everyone loves FREEBIES. Fluffy House has two cute apps. The first one is a camera app and another is a puzzle game which sometimes they offer discount codes when completing certain targets for their vinyl toys. Download Fluffy Coffee for FREE HERE. iOS Photo App “Fluffy Photo” has released! Download it for free and Mr. White Cloud and friends are now ready to fill your photos with cuteness and joy. Add Mr Cloud and co in all your photos like we have. Smile for everyone! Download it HERE for FREE. Find Fluffy House via http://fluffyhouse.com/ , Facebook , Instagram and Twitter.